SUMMARY: Addie has always been able to see the future when faced with a choice, but that doesn't make her present any easier. Her boyfriend used her. Her best friend betrayed her. So when Addie's dad invites her to spend her winter break with him in the Norm world, she jumps at the chance. There she meets the handsome and achingly familiar Trevor. He's a virtual stranger to her, so why does her heart do a funny flip every time she sees him? But after witnessing secrets that were supposed to stay hidden, Trevor quickly seems more suspicious of Addie than interested in her. She wants to change that. Laila, her best friend, has a secret of her own: she can restore Addie's memories . . . once she learns how. But there are powerful people who don't want this to happen. Desperate, Laila tries to manipulate Connor, a brooding bad boy from school—but he seems to be the only boy in the Compound immune to her charms. And the only one who can help her. In the suspenseful sequel to Pivot Point, Addie tries desperately to retrieve her lost memories and piece together a world she thought she knew before she loses the love she nearly forgot. I adored Pivot Point. So much. Sneaking pages when I should've been doing other stuff level of love. And I have to admit, the ending left me aching. I understood it. I believed it. But my heart had a few choice words for Kasie. 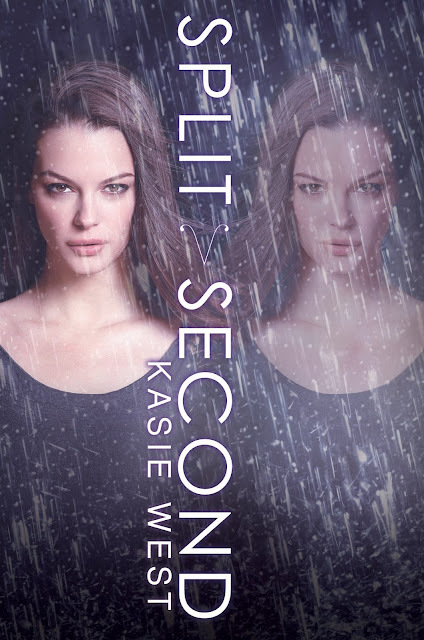 So finally, when I got to read Split Second, my heart did a happy dance. Then I actually, you know, read the book. And so, so, so awesome. Kasie has this uncanny ability for wit and humor infused throughout her books, this utterly amazing voice that just draws me right in, and her books always stand out in my mind as a result. I loved Addie in PP, but was so excited to get Laila's POV blended in this time around. And for all the ways Addie stood out and had this distinct voice and style, Laila stood out just as much. I never got confused on who was narrating, and I rooted so much for both girls. I also love how their friendship was such a forerunning element of this book, even with their individual romances in there too. And that is just one of the many ways this book stands out so much to me. Yes, Laila betrayed Addie in a way, and yes, there are some big things they have to go through. But the trials they endure just make me believe in their friendship even more strongly. Even more, I truly love the sense of rightness that exists even with Addie's lost memories, these things that end up happening despite happening in a previous line for her in the past, and how she goes through all that. And Trevor. Oh. Trevor. Right alongside her knack for wit, Kasie also has a talent for writing honest and real guy characters, who are just so dang sweet, even if a little bit flawed and not always in the right. Trevor slayed me in PP, and he only melted my heart even more this time around. I love his story, the things he's been through, and I loved the guy he's become as a result that we saw in PP. Now that's brought back in, reintroduced and, in a surprisingly solid fashion, built on even more. Even having known him already, I had no problems watching Addie get to know him again, seeing the things they connect over and everything else. There is so much to utterly love about this book. While it probably can be read as a stand alone, considering how awesome the duology is, and how well the books play into each other, I recommend reading the first. Plus, if you're anything like me, you won't be able to get enough of Kasie's writing anyhow. The pacing is stellar, the plot has wonderful twists and turns, and the characters shine.